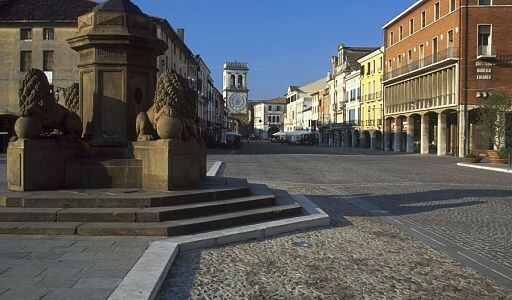 Located at the foot of the Euganean Hills, Este was the vital center of culture Venetic; seems to derive its name from the Adige, that the wet route to the 589 d.C. Since then, the city was abandoned and revived only after the 1000, with the rule of the House of Este, expelled from Padua in 1275, moved to Ferrara, and became the father of the dynasty of the Este. 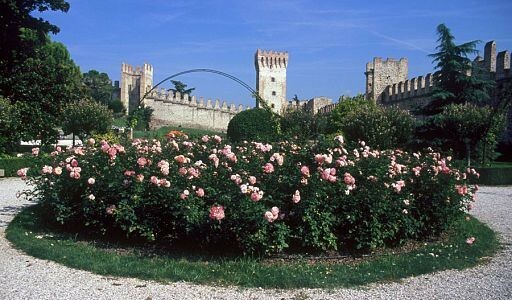 The shapes of the castle are due to Carrara: in 1339 Ubertino da Carrara had it built on previous wanted by the Este, with a wall of about 1 kilometer, while the curtain which defended the town was completed only after the 1405, now under Venetian rule. 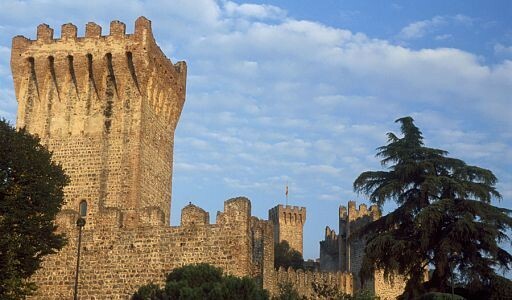 Long over 2 kilometers, was equipped with 3 and doors closed to the north from the castle, from which it was separated by the river Sirone, then buried in the sixteenth century. 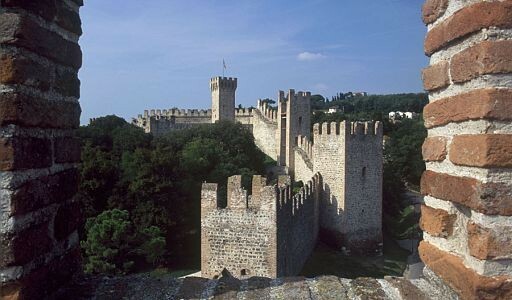 - The castle of Este Carrara (Period estivo: 9,00 – 23,00. Winter time: 9,00 – 17,00). 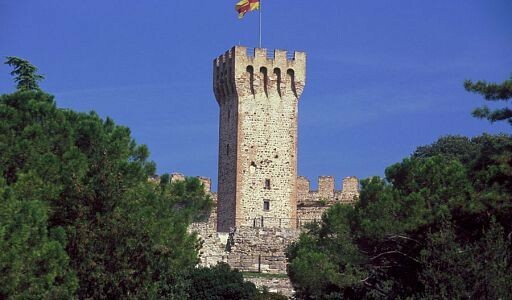 - Civic Tower of Porta Vecchia (from April to September). - Rock of Tower Bridge (visited only externally). - Palazzo del Municipio (visited only externally). - Palace of the Scala (visited only externally). - Cathedral of Santa Tecla (from 10,00 to 12,00 and by 16,00 to 18,00). - Basilica S. Maria delle Grazie (from 10,00 to 12,00 and by 16,00 to 18,00). - Church of S. Martin (from 15 April to 11 November: Sunday 10,30 – 12,30 and 17,30 – 19,30). - Church of Our Lady of Health (visit sternum – Opening to the public on 21 November). Coming into town, now you can see the spectacular castle complex of Carrara, with tape muraria, intervallata da 12 of the original 14 torri merlate, that separates him from the village below, once with walls, whose structure, almost rectangular, is still marked by the perimeter of the channel Bisatto. 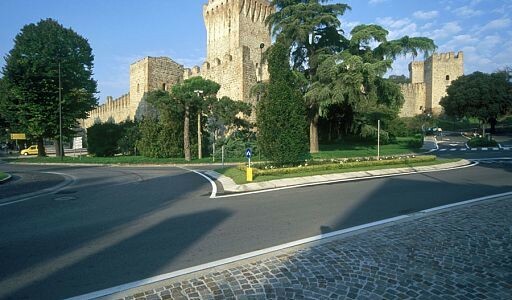 Entering through the front door of the Castle corner of the Rescue, go along the path marked by towers, leading to the main tower, pentagonal tower erected on a previous era of Azzo II d'Este (XI secolo). 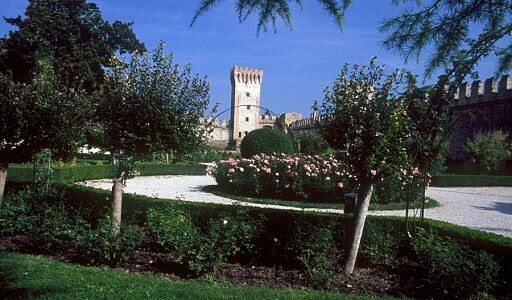 Through the public gardens, one arrives at the Palazzo Mocenigo, built in 500 near the town. Entering the village, Negri way through on the left will take you to the Church of S. Martin (XI-XIV secolo). Going to the channel, proceed by way of Nuns, next to the church of S. Rocco (XVI-XVIII Secolo), from where you can see remnants of the city walls songs, to emerge in Via Matteotti, closed by the Tower of Porta Vecchia, l'unica murario urban system, rebuilt in 1690. Through the streets of downtown, they reach the Cathedral of S. Key (XVII-XVIII Secolo). The tour continues via Cappuccini, with a path between nature follows the perimeter of the walls of the castle to the north of Carrara, over the Arc Falconetto (Sixteenth century). Communities: Schiavonia, Motta, Prà, Deserto.